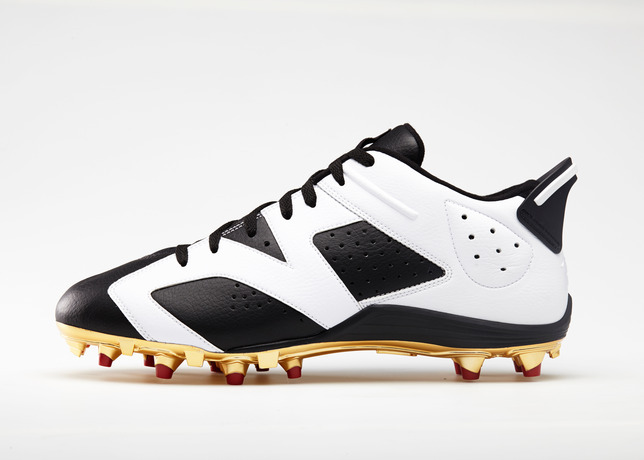 This weekends NFL action will be dominated by Jordan Brand as far as cleats are concerned. 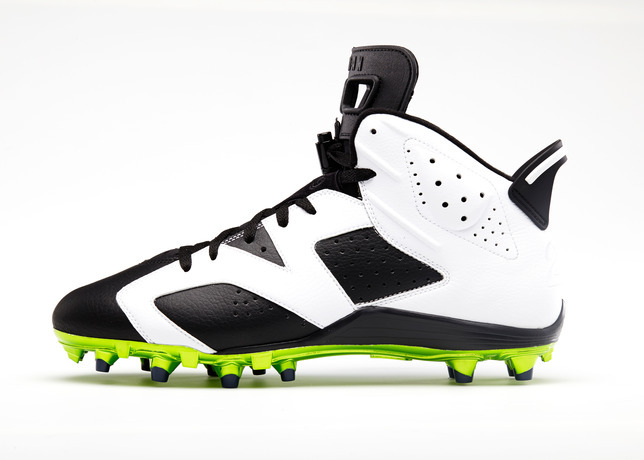 The 49ers own Michael Crabtree and Seahawks Earl Thomas will both be sporting custom pairs of Air Jordan VI Retro Cleats. Earl Thomas will be sporting the more traditional cut VI out of the bunch with simple Black/White color-blocking and a Seahawks green footplate with his number embroidered on the back. Michael Crabtree will be rocking the same shoe but in a low cut version with the 49ers red on the footplate this time and his number also on the back. This weekend should be great for the NFL and hopefully we will see both teams match up in the NFC Championship game next week as well. Continue below for some more addtional images of both on field cleats.